Accuracy Firearms Indoor shooting range includes 25 yard rifle rated lanes. 5 Standard lanes - 5 Tactical. See why people shoot in our range. Memberships are billed on a monthly auto renew basis and include a one time inititaion fee of $75.00. 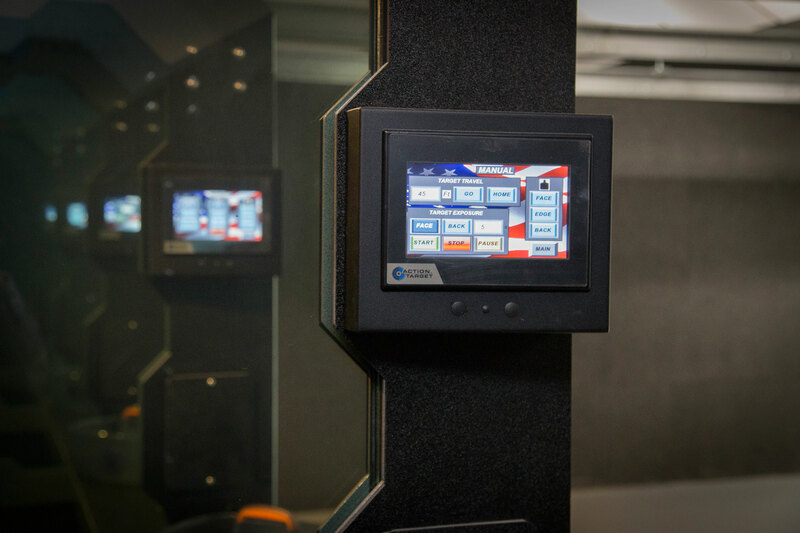 The tactical lanes are outfitted with 360 degree turning target retrievers and programmable master controls for shooting scenario purposes. Our standard lanes are great for regular target practice. The retrievers are electronically controlled so you can set the distance and retrieve the target yourself. Watch your family and friends from our viewing area using the viewing window that allows you to see all the range action. "Try before you buy" we offer a wide selection of rental guns available so you can decide yourself what gun shoots the best for you. Is the range open to the public. Accuracy Firearms is open to the public. Range times vary from $20 an hour for general purpose and $25 per hour for the tactical bay. What firearms are allowed on the range? Pistols and rifles are allowed on the range. We allow rifles up to a .300 WM.